On Feburary 14, 2016, Rev. Tony Ponticello addressed the congregation at the Community Miracles Center in San Francisco, CA for the Sunday Service. What follows is a lightly edited transcription of that talk. Woo hoo! Thank you all for being here. Happy Valentine's Day. Happy Presidents' Day weekend too. Two holidays converging at once. Valentine's Day has always been a special holiday, a special celebration for me, because I'm a lover, not a fighter. (laughter) I love a holiday that's devoted to love. It's great! If you look at the lyrics of the song, I think it says something interesting. It really talks about how our ego does things. It also reminds us of the Holy Spirit in back of the ego, and also in our minds. She sings,"You must understand though the touch of your hand makes my pulse react – That it's only the thrill of boy meeting girl, opposites attract." I do want to mention that's a very heterosexist, discriminating perspective. (laughter) Do not think I endorse that. It's a Tina Turner song. Then she sings, "It's physical; only logical." She doesn't want it to mean more than that. "You must try to ignore that it means more than that." So there must be some message that's coming, maybe from the man, maybe in her own mind from the Holy Spirit, that these feelings might be more. Maybe this is love. Maybe there is love in back of it. Maybe there is love behind it. Then she says almost, in response to that unspoken thing that must be going on somewhere, "What's love got to do with it?" She doesn't want it to have anything to do with love. "Oh what's love got to do, got to do with it? What's love but a second hand emotion?" Later on she says, "What's love got to do with it? What's love but a sweet old fashioned notion?" I hear this as Tina trying to ignore that there is something within her, that is loving, that wants to go to love. Yet she's afraid of it, and she wants to just make it this physical, biological thing. That she can handle – maybe, maybe not – but she's trying to make it strictly a physical thing. She's trying to ignore the love that is underneath that. However, you get the impression from the song that eventually she succumbs to the love. I like that it doesn't really give us much option here. (laughter) If we feel these physical impulses they are misdirected love impulses, and I guess we only have two choices. One is to express them, and the other is to ignore them. If we express them we'll feel guilty. If we ignore them we'll feel depressed. I'll go for guilt. (laughter) I think I can handle the guilt. I can rise above the guilt. I don't want to be depressed. 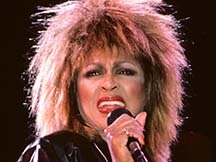 In another place the Tina Turner song says, "It may seem to you that I'm acting confused." Well if I had to chose between guilt and depression, I guess I'd be confused too. "When you're close to me, if I tend to look dazed, I've read it someplace I've got cause to be." Maybe she read it in A Course In Miracles! This was in 1984, A Course In Miracles was out. A Course In Miracles talks about these impulses, these physical impulses, that we feel and how they hide love – or how they come from love underneath, but we're distorting them. If we express the physical impulse, we're going to feel the guilt – have to get through the guilt. If we deny the physical impulses, we're just going to be depressed. For me that is certainly much worse. What is obvious here is the confusion that we have about these things. It's also obvious in the Tina Turner song that she's dealing with that confusion, and she's trying to protect herself from getting hurt. I love A Course In Miracles because you can get a spiritual perspective on just about anything from it, even a Tina Turner song. I love that. I think we all have to deal with these physical impulses, but of course they're not just the sexual impulse. They are any physical impulse that we have. We see someone who appears to be in lack. We have the physical impulse of wanting to help them in some way, or supply the lack they seem to have. Any act of a charity we may do is us trying to respond to this perceived lack. So there's a love thing that is underneath. We don't know quite how to deal with it, but the expression of that in form feels like giving to the one who is in need of charity. A Course In Miracles says, "Most of the loftier concepts of which man is capable now are time-dependent. Charity is really a weaker reflection of a much more powerful love-encompassment which is far beyond any form of charity that man can conceive of as yet." (OrEd.Tx.1.104) There is that same idea. When we feel like we can be charitable, in whatever way we feel like we could be, what is really going on is a feeling of love – a love encompassment – this feeling that the other person is me. I just want to embrace the "me." I just want to see it as all "me," and we have trouble figuring out how we will do that in form. I will give the other person something. I will help supply that lack they appear to have. That's just this weaker reflection of this "love-encompassment" that is underneath. It is probably the best we can do. If we do those things there will be some guilt involved. That's an interesting idea. The guilt is about how I am somehow seeing this person as different than me. I am seeing this person has a need, and then I want to supply that need. That must mean, in some way, I think I have something that they don't. It's not really the truth. There will be that confusion spin in the mind, but it's probably the best we can do. Remember we're A Course In Miracles students. We can let go of that guilt and just be guided to do what we feel guided to do. We will always be guided to find some expression of love that is appropriate for us, that helps the other person, and that helps the universe, because we are here to express love. It's what we are here to do. Valentine's Day is a great way just to dial up the love in our life in whatever way we will be guided to do it. Just crank it up a little bit. Think about this a little while as you go through the day. How could you crank up the expression of love in your life today? Today is an incredible window of opportunity that the world gives to us to be loving. Just about anybody you say I love you to today, will take it in, probably embrace that idea and not give you flack about it. They won't be thinking "What do you mean?" Just take it in. It's Valentine's Day. It's great! Some people think that Valentine's Day is a manufactured holiday, manufactured by the flower companies, the chocolate candy companies, and certainly by the greeting card companies. Actually Valentine's Day is one of the more spiritual and religious holidays that we have, but we forget about its origins. It originates from St. Valentinius who was a Roman Catholic priest. He was killed by the Romans in the year 496. The reason why he was jailed, and then martyred by the Romans, was because he believed in love. He would marry Roman soldiers to their beloveds even though the Roman law prohibited its soldiers from marrying. He went against the Roman law. He would marry these soldiers so they could be one with their beloveds, and that of course was a no-no. He was also arrested because he was ministering to his congregation, to his flock, who were Catholics – Christians, and being Christians at that time was not a good thing. So they jailed Valentinius and martyred him, killed him for those two reasons. He was in jail for a while before he was killed. While he was in jail, the daughter of the judge who sentenced him to jail would come and visit him. The daughter was blind, and through a miracle Valentinius healed the blind daughter. He healed the blind girl. The blind girl could see. That understandibly was a very big deal, and the legend or story is that the healing made a convert of the man who had jailed Valentinius. The man who jailed him then became a Christian, because he was moved by the miracle of his blind daughter now being able to see. However, that didn't stop them from executing St. Valentine. I've also been told from one source, the Romans then also executed the jailor/the judge too. I don't know if that's true. You don't know if any of this is true. These are the stories that have been told for centuries now. Before Valentinius was executed though, he maintained this relationship with the daughter, the blind girl, that he had healed. They would write letters to each other, and in the very last letter he wrote to her right before he was killed, he signed it "Your Valentine." That is actually where we get the tradition of sending Valentines. They are little expressions of love like that Roman priest sent, so many centuries ago, to the young girl that he had healed of blindness on the day before he knew he was being executed. The tradition of St. Valentine's Day carried on here and there, but it actually got a big boost from the English author Chaucer. Chaucer wrote about Valentine's Day and about love. He would refer to Valentine's Day. Chaucer was born in 1343. He is considered the Father of English Literature. He was a poet and a writer. He wrote in Middle English, so he didn't write in the English language form of today. You can still read it – sort of. It's a little difficult. Chaucer wrote in Middle English, and he was the first prominent author to write in any form of English. Before that time authors generally wrote either in French or Latin. Chaucer made the English language into an acceptable language for scholarly people, or creative people, to write in. He wrote about Valentine's Day and the traditions of: presenting flowers, offering candy, and writing notes arose out of Chaucer's popularizing the story of St.Valentine and his martyrdom. That's where the Valentine's Day traditions came from. They did not come from card companies, flower companies, and candy companies. These traditions actually originated in 1382 when Chaucer wrote about them. So we can love Chaucer. We can love Valentine's Day, and we can love St. Valentine. I do want to make/present a little homage here to somebody else that I want to express some love for and I am doing this publicly. I know this will also be on YouTube. **1 I want to express love for a person who I believe is a great Course scholar. I actually believe he is probably the greatest Course scholar who is alive today. People in Course circles – many of the long standing teachers – know who this person is, but he is not really out there in the mainstream. It's Doug Thompson. I want to express my love and appreciation for Doug Thompson. He was the one who created that wonderful Urtext Manuscript, we sell and he compiled all the appendices and indices in it. He created The Scholar's Toolbox which compares all the versions of A Course In Miracles. If you've studied those things, seen the way he compiled and referenced things, you know what I mean. It's just awesome. If you haven't looked at the published version of the Urtext – and seen everything Doug Thompson wrote in it – I recommend it. Mr. Thompson continues to write all kinds of scholarly things about the Course, because he continues to compare all the versions of the Course all the time. He's also now working on bringing Helen Schucman's Shorthand Notes to publication. He's been looking at Helen Schucman's Shorthand Notes now probably for 15 years, and he's been able to decipher them. You can get them on the internet. You can read them. They're as different from the current, published, earlier versions of A Course In Miracles (the Original Edition, the Sparkly, the Urtext) as those earlier versions are from the Foundation for Inner Peace edition of A Course In Miracles. Perhaps even more so. There are some interesting things in the Shorthand Notes that I do want to talk about. So Doug – I love you. Thank you so much for all the scholarly work that you did, that you still are doing, and I can't wait until you actually publish The Notes in book form so I don't have to read them in a strange .pdf. An interesting thing about The Notes, as they are called, is that we all think that A Course In Miracles starts with that short introduction we are all familiar with. "This is A Course In Miracles. It is a required course." (OrEd.Tx.In.1) It doesn't. The Notes actually start differently. The notes start with a statement that was read earlier this morning. They start, "You will see miracles through your hands through me." That is actually the first line that Jesus dictated to Helen Schucman. "You will see miracles through your hands through me." (Notes.T1A1) It wasn't even, as the popular story tells it, "This is a course in miracles, please take notes." (Notes.T1B1) That came through just a little later on that very first day of dictation which Helen Schucman dated as 10.21.65. Later on The Notes say, "They [miracles] occur naturally as expressions of love." (Notes.T1B3) That is what I was looking up as I was writing this talk. I was looking up "love," because this is the day of love. "The real miracle is the love that inspires them." (Notes.T1B3) All that love within us – so much love – inspires us to do whatever we are guided to do, as distorted and as inappropriate as it is – that's an expression of love. That's the miracle. "Miracles occur naturally as expressions of love. The real miracle is the love that inspires them. In this sense, everything that comes from love is a miracle." (OrEd.Tx.1.3) Anything that comes from us and that connection with love, even if it's a slightly inappropriate expression because we perceive the other to be an "other," when in truth they're really just us – but any expression of love is a miracle. We sometimes think about how would we define a miracle. People like to say a miracle is a shift in perception, That's not really in A Course In Miracles. That is just something we have become accustomed to saying. The actual expression "a shift in perception" only occurs a couple of times. There is a little mention of it in the Teachers Manual, (OrEd.Mn.5.6) but to say that A Course In Miracles defines a miracle as a shift in perception, really is not accurate. It's not accurate. Community Miracles Center is a center of love. Anybody who comes here feels the love. It's great! I want to talk a little bit about something I have never talked about before. Can it be possible that there is something in all these years that I have never talked about? But there is something I have never talked about before. In fact, I don't think I ever mentioned it to anybody until I talked with Rev. Kelly about it a couple of weeks ago. What I want to talk about is the CMC logo. The CMC logo gets flack every once in a while because people think whatever they think, but they think maybe we could have a better logo. What they don't know is the story, the meaning behind the logo, because I never told anybody. I never thought it was appropriate or that I even needed to. I figured that people would just react to the logo and accept it. What's Love Got To Do With It? 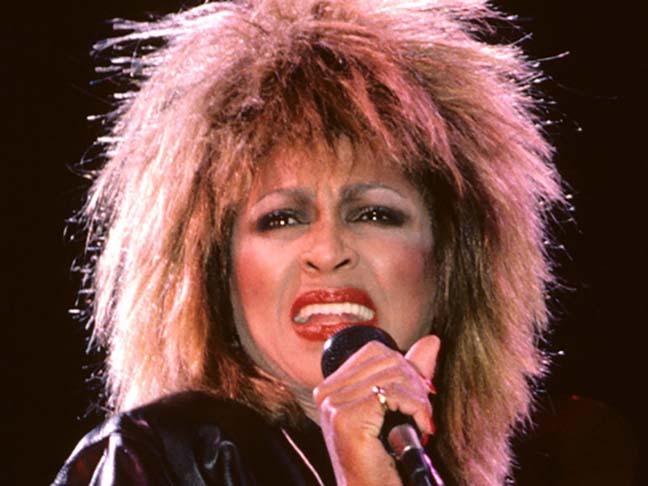 The Tina Turner song says, "I've been taking a new direction, but I have to say – I've been thinking about my own protection. It scares me to feel this way." It scares us all sometimes to actually just feel the love, and we defend ourselves against it. That is what the ego does, we defend ourselves against it. I can understand because as the Course says, if we express it we feel guilty, if we deny it we feel depression. It's a little confusing. How do I express the love? I think we just trust. We just trust what A Course In Miracles tells us about expressing love. It says, "The love of God for a little while must still be expressed through one body to another." (OrEd.Tx.1.105) So even though it's not the highest expression of love, it's what we got for a little while. We express love from one body to another in so many ways: a smile, a handshake, a hug, giving something to someone who may seem to be in lack, physical intimacy if that is in our lives, just blessing, and thinking of how much we love our brothers and sisters. Rev. Tony Ponticello is CMC's 20th minister. He is currently the Executive Minister (11.20.2017). He is also President of the CMC Board of Diretors. He was ordained by the CMC on Oct. 17, 1997. This article appeared in the March 2016 (Vol. 30 No.1) issue of Miracles Monthly. Miracles Monthly is published by Community Miracles Center in San Francisco, CA. CMC is supported solely by people just like you who: become CMC Supporting Members, Give Donations and Purchase Books and Products through us.